The Great Wave off Kanagawa. 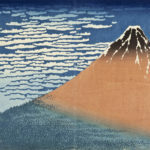 Hokusai, 1830. Katsushika Hokusai’s ‘Great Wave Off Kanagawa’ is arguably one of the most recognizable pieces throughout art history. Its distinctive linework, vibrant color, and dynamic style has captured the imagination of both Japanese and international artists, and is perhaps as popular now as it was at the time of its original publication circa 1830. The work is a fine example of ukiyo-e, or woodcut prints and paintings of the ‘floating world’, a genre of Japanese art in which artists collaborated with workshops and publishers to collectively produce tens of thousands of images depicting the urban lifestyle in Edo period Japan. 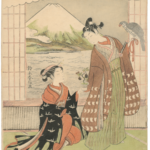 This talk by Michael VanHaringsveldt will briefly cover the development of ukiyo-e through the height of its popularity in the late 18th century under artists such as Kiyonaga and Chōki to its thematic shift in the 19th century with Hokusai, Hiroshige, and others. 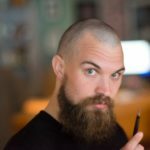 A detailed slideshow presentation will accompany a discussion regarding the collaborative process between artist and workshop in the production of woodcut prints. South Wind, Clear Dawn. 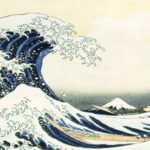 Hokusai, 1832. Lucky Dream. Suzuki Harunobu, 1768. So Cool! NHK (Japanese channel 28-4 on antenna tv in LA) does a whole little series where they explain all the detail behind what is painted in these block prints. Def glad I randomly checked the events and saw this!